On the detail page, select Install. Once installation has completed, select Open. You can also launch the app from your home screen by selecting the Microsoft Solitaire Collection tile. Signing in with your Xbox Live account allows you to earn achievements, participate in leaderboards, and compete in Daily Challenges. If you play Microsoft Solitaire Collection on other devices, your progress will also sync between these devices, meaning you can earn progress toward your Daily Challenges wherever you go! To sign in to Xbox Live, select the Menu button, and then Challenges > Daily Challenges. 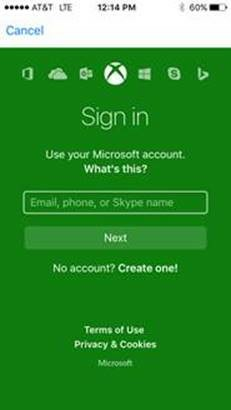 When you’re prompted to sign in using your Microsoft account, use the same account that you use to play Microsoft Solitaire Collection on your other devices. If you purchase a Premium subscription, you’ll be able to hide in-game advertisements and earn additional coins toward your Daily Challenges. Premium subscriptions can be purchased for 1 month or 1 year. To purchase a Premium subscription, select the gold playing cards while playing (these appear at the top of the screen) and follow the prompts. You’ll need to have a payment option associated with your Apple Store or Google Play Store account to make a purchase. Note If you already have a Premium subscription from another device such as Windows, that subscription will not carry over to your iOS or Android device. For questions about Microsoft Solitaire Collection on iOS, visit http://zone.msn.com/microsoftcasualgames/casualsuite/support/mssosup-ios.htm. For questions about Microsoft Solitaire Collection on Android, visit http://zone.msn.com/microsoftcasualgames/casualsuite/support/mssosup-android.htm. For a full list of frequently asked questions about Microsoft Solitaire Collection, visit Microsoft Casual Games FAQ. To engage with the community, discuss all things Microsoft Solitaire Collection (including Daily Challenges), get help from experts, and watch videos that show solutions, visit the Microsoft Solitaire Collection community on Facebook. For iOS devices, visit Apple Store support. For Android devices, visit Google Play support. If you’re having problems signing in to Xbox Live, click here to check the service status. If the service is unavailable, this page will inform you when it’s back up and running, so you can sign in to your account. If you’re offline or not connected to Xbox Live when you earn an achievement, it won’t show up on your account. To resolve this, make sure that you’re online and connected to Xbox Live, and then attempt to earn the same achievement again. Would you like to contact Support regarding the "Microsoft Solitaire Collection on iOS and Android" issue you were reading about or a different issue?